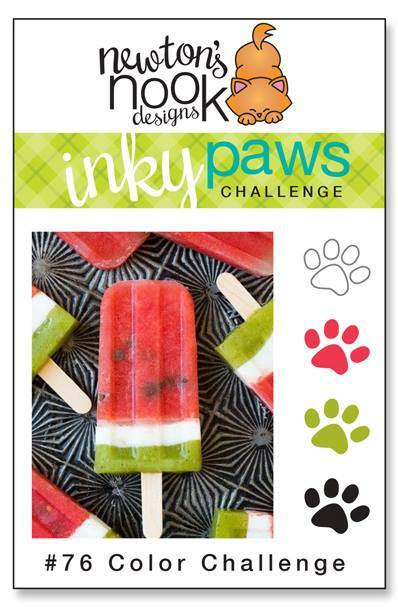 I'm popping in this morning with another card for the Inky Paws Challenge #76, you still have a week to play along with this fun color combo! 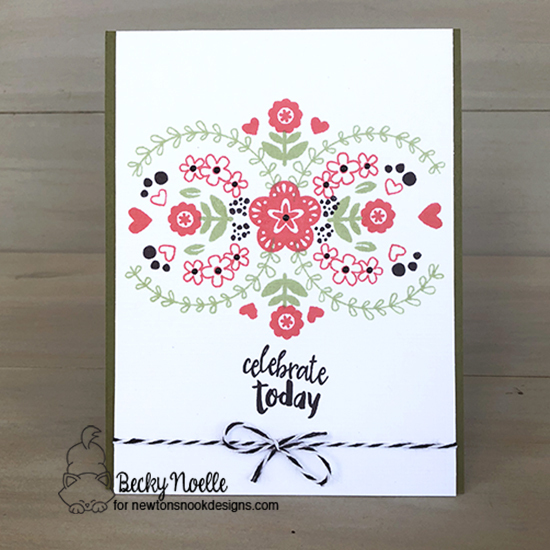 When I'm making something like this that uses a bunch of stamping with the MISTI and not a ton of coloring I almost always make multiples so I actually made 4 of this card at the same time! I find it easiest to have one template piece that I draw centering lines on to help me line things up before I stamp on my final pieces. I used dots, florals, hearts, and the wreath stamp from three different sets to make this design, I used the Newton's Nook Designs Tranquil Tides Stamp Set, Newton's Nook Designs Cottage Garden Stamp Set, and Newton's Nook Designs Happy Little Thoughts Stamp Set and then i finisehd everything off with some Crystal drops and baker's twine. Anyways, go play along with the challenge and make sure to stop by tomorrow for some tea party pictures! This is so gorgeous! I love how you combined the elements from the different sets! I love the folksiness of this card. The colors work perfectly. Smart move making multiples. Did you try any other color combos?